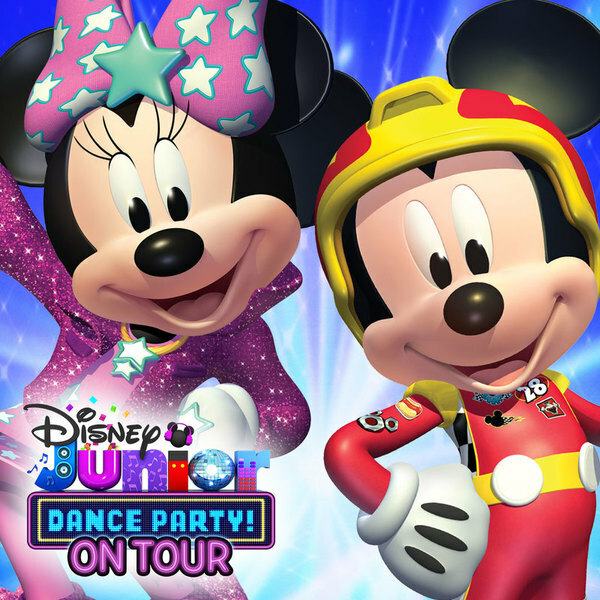 Launching March 14 in Southern California, the high-energy "Disney Junior Dance PARTY ONTour" will perform 50 shows across the country. Inspired by favorite Disney Junior series, the interactive concert tour includes songs from Mickey and the Roadster Racers, Sofia the First, Elena of Avalor, Doc McStuffins, The Lion Guard, as well as newest hit series VAMPIRINA and Puppy Dog Pals. The live concert will also include a brand-new interactive experience featuring Disney Junior's highly-anticipated series, Muppet Babies, launching in early 2018. Join hosts, Dee and Jay, and the DJ Dance squad as they welcome Mickey, Minnie and other Disney Junior characters on-stage to perform popular songs including "Hot Dog Dance" from Mickey Mouse Clubhouse, "Time For Your Check Up" from Doc McStuffins, "Zuka Zama" from THE LION GUARD and "Happy Helpers" from Mickey and the Roadster Racers. It's going to be a dance party you won't want to miss! "We are delighted to collaborate with Red Light Management to bring some of Disney Junior's biggest hit series to the stage for kids and families nationwide to enjoy in a truly immersive concert experience," said Jennifer Rogers-Doyle, Vice President, Franchise Management, Disney Channels Worldwide. "The 'Disney Junior Dance PARTY ON Tour' is going to be the premiere family concert event of the year and for many years to come. The production is absolutely stunning and working alongside Disney and Amy Tinkham to create this show has been an incredible experience and an honor," says executive tour producer Jonathan Shank. "Parents and children are going to truly love this show. There are new songs, greatest hits and some mashups, which are really fun!" Disney Visa Cardmember presale tickets, as well as VIP meet-and-greet packages, will be available starting Wednesday, Nov. 8 at 12:00 p.m. EST, with Disney Junior Facebook pre-sales starting Tuesday, Nov. 14 at 10:00 a.m. (local time).. Public on-sale tickets for "Disney Junior Dance PARTY ON Tour" begin Friday, Nov. 17. Parents can go to disney.com/disneyjuniortour to get more information and to purchase tickets. Additional dates to be announced.